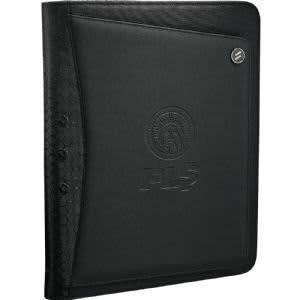 An essential for the tech savvy! 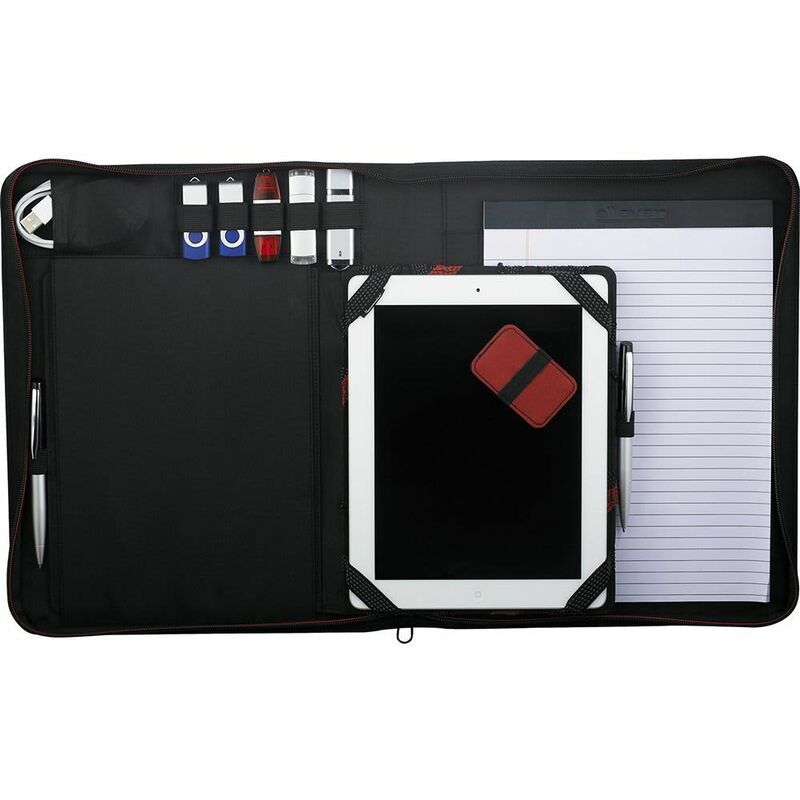 This modern design features a removable Tech Trap organisation unit so you can take your gadgets with you and includes easel stand function for tablet display. 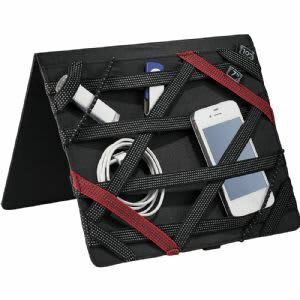 Tech Trap holds most tablet models including all versions of the iPad. 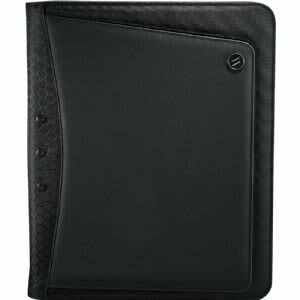 Includes a screen cleaner, business card pockets, elastic pen loops and a 21.6cm x 29.2cm writing pad. 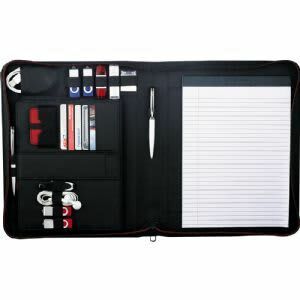 Pen, iPad and other devices shown are not included.